Sanctuary will be leading a Mental Health & Addiction workshop at Regent College March 10. 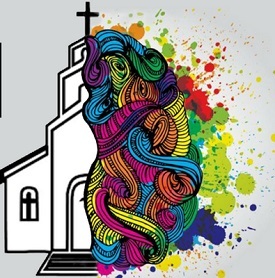 How can Christian communities provide meaningful, thoughtful and effective supports to those who struggle with mental illness? That is the question that Sanctuary Mental Health Ministries and Regent College have addressed in two series of workshops, one last year and another spanning from late 2017 to early 2018. Mental health and addiction are often brought into the same conversation, but how are they connected? In this session, we will explore how substance misuse is related to mental health and illness, and the intersections that help explain why they often co-occur. What are some ways in which the church community can support mental health and the process of addiction treatment and recovery? Together, we will examine the spiritual, psychological, biological and social roots of addiction and their contribution to the mental health journey. Leading the workshop will be Fiona Choi, PhD, Postdoctoral Research Fellow at the Institute of Mental Health at UBC and Daniel Whitehead, MA, executive director of Sanctuary. Spiritual Trauma with Hillary McBride takes place March 15. Another event co-hosted by Sanctuary will take place March 15 at Vancouver Eastside Vineyard Church. Although trauma is all around us, shaping the way we feel, think, relate, parent and work, it is poorly understood in our culture. This is even more evident in our communities of faith. What is the role of our faith and spirituality in both the prevention and healing of our trauma? And what happens to our spiritual lives when our communities of faith are the ones that cause our trauma? In this evening presentation, Hillary McBride will answer these questions and create a space for dialogue about the intersection of what shapes us most – our beliefs, our communities and our wounds. This seminar will include current research evidence from the fields of neuroscience, developmental psychology and philosophy. McBride is a registered clinical counsellor in private practice in Vancouver and PhD candidate in counselling psychology at UBC. Finally, Sanctuary is offering a Mental Health First Aid course for people who are active in a church community, March 6 – 20, three Tuesday afternoons. Adam Schriemer and Eric Loeppky were each named Canada West First Team All-Stars; Jesse Elser and Jackson Howe were named to the All-Rookie Team. 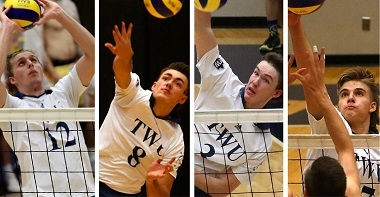 The men’s volleyball team from Trinity Western University will be playing in the Canada West semifinals this weekend. The number one ranked Spartans men’s volleyball team advanced to the semifinals with a 3-1 (25-14, 29-31, 25-12, 25-23) win over the Thompson Rivers WolfPack in Game 2 of the conference best-of-three quarter-finals. The Spartans will host Winnipeg in the semifinals, starting today (March 1-3) at the Langley Events Centre. As well, Trinity Western’s Adam Schriemer and Eric Loeppky were each named Canada West First Team All-Stars February 27, while Jesse Elser and Jackson Howe were named to the All-Rookie Team. The Spartans have performed extremely well in university volleyball over the years. Last year they repeated as national men’s volleyball champions, defeating the Alberta Golden Bears in the final. The women’s team, which lost a very close quarterfinal series to the University of Alberta Pandas in Edmonton last weekend, has done very well too. Last year they won the bronze medal at the U Sports national championships; it was the third year in a row that they had won a medal. If pursuing absolute efficiency through automation leads to undesirable consequences, what normative guidelines can help us responsibly harness the possibilities of new technologies while simultaneously ensuring flourishing for humans and the rest of the creation? That is the key question to be addressed by Dr. Derek Schuurman this Saturday (March 3) as he tackles this topic: Responsible Automation: Faith & Work in an Age of Intelligent Machines. Ever since the Luddites revolted in opposition to the industrial revolution in the early 19th century, concerns over automation have persisted. Throughout the Industrial Revolution, the introduction of new technology did displace certain jobs, but it simultaneously created new jobs. And so it went for much of the 20th century. However, the digital revolution and the increasing pace of automation are now rapidly transforming the economy and employment. With recent developments in robotics and artificial intelligence, many have begun to warn of the “end of work” in what has been called “the second machine age.” . . .
A set of norms informed by a Christian perspective for responsible technology will be presented to provide a helpful framework as we face the second machine age. Schuurman worked as an electrical engineer for several years, before completing a PhD in the area of robotics and computer vision. 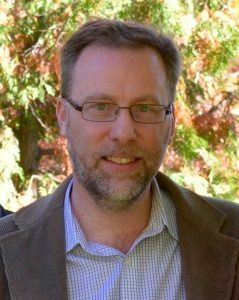 He is now professor of computer science at Calvin College and wrote Shaping a Digital World: Faith, Culture and Computer Technology. This lecture is sponsored by the Geneva Society and the Canadian Scientific & Christian Affiliation. It will be held at Christ Covenant Church on Glover Road in Langley.